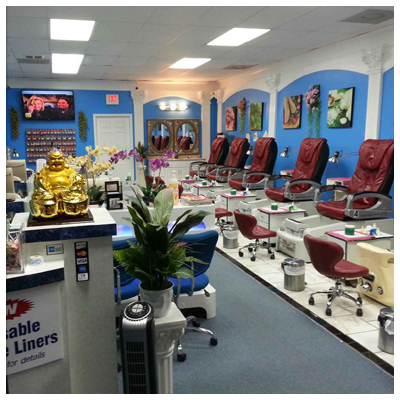 Have you ever satisfied with the nail salons that you experienced before? 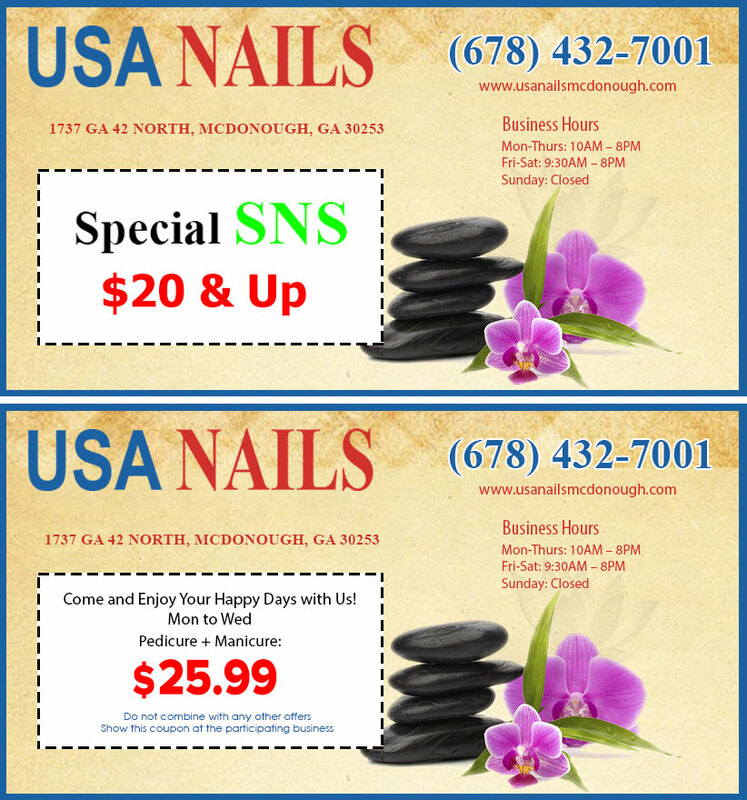 If those places have not made you relaxed and satisfied, come to USA Nails at McDonough, Georgia 30253. 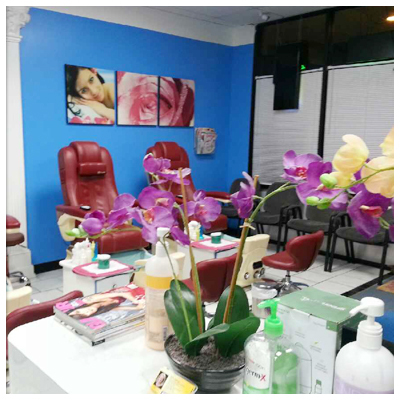 At our salon, we’re proud to provide you with famous products and modern facilities. 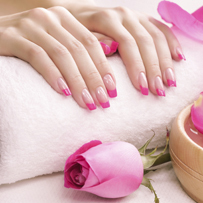 Besides, we also offer customers a wide variety of services including Manicure, Pedicure, and other additional services. Our goal is to bring customers the best service quality and the most satisfaction. For this reason, our nail salon continually updates new techniques and trendy nail designs to our valued customers. Especially, we also pay our attention to the sanitation and customer care services. We always keep our salon clean and welcome customers with friendly attitude and smiley face in attempt to create a closer relationship with customers. USA Nails– Ideal Destination For You. Walk in and Appointment Welcome!